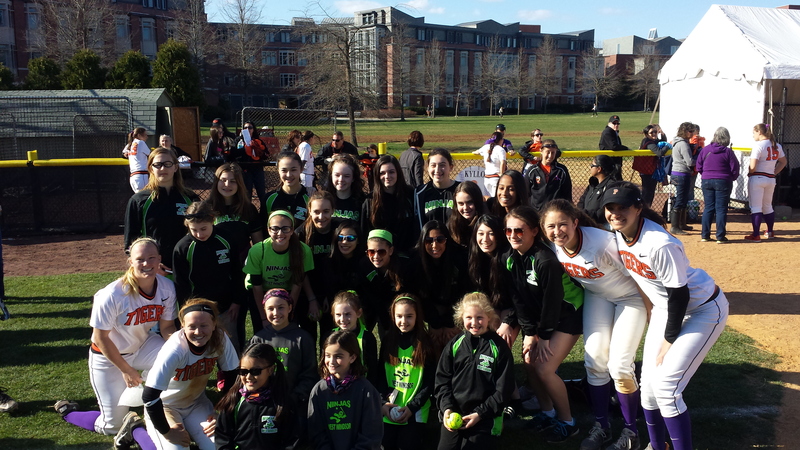 The Ninjas visited Princeton University's Youth Softball Day on Saturday, April 11, 2015 and had a great time. We had lots of Ninja players in attendance along with many coaches and parents. We saw Princeton hit several home runs on their way to a 14-5 victory over Columbia. After the game, we met with all the Princeton players and coaches, Special thanks to West Windsor alum Nicole Arias, now an assistant coach for Princeton, for helping to arrange our day. We will definitely be doing this again next season. You can learn more about Princeton's softball program at www.goprincetontigers.com/softball.